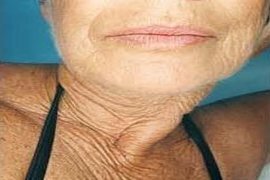 The hands, neck and the low-necked, like the face, are difficult to conceal in everyday contact, and show the signs of ageing. The contrast between the appearance of a rejuvenated face, and an ageing neck, cleavage and hands is often noticeable. 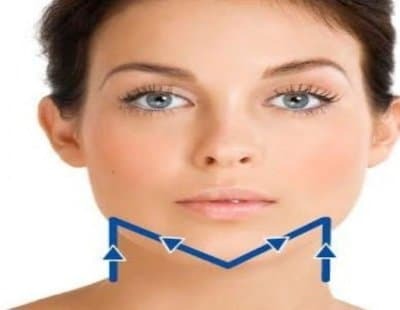 Aesthetic medicine can be used to improve the appearance of the neck, the low-necked and the hands. Signs of sun-damage/ageing: sun spots, flushing, persistent redness erythrosis coli(fragile, reddened -or sometimes brown skin- with white bumps ). Rumpled appearance to the skin and the appearance of horizontal lines. 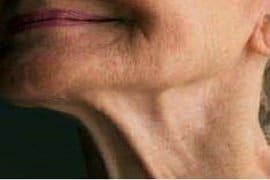 Vertical cords due to excessive contraction of the platysmal muscles in the neck. – Hyaluronic acid or tensile threads are used to improve the definition of, and plump up the jaw line. – Erbium and YAG laser treatment to stimulate dermal synthesis. Hyaluronic acid can be used either as a volumising or as a hydrating agent. The volumizing action is interesting to replace the loss of bone support or fat melting in the jawline, neck and decolletage. Hydrating acids are used when you want to plump the skin whose loss of tone is responsible for ugly skin conditions. 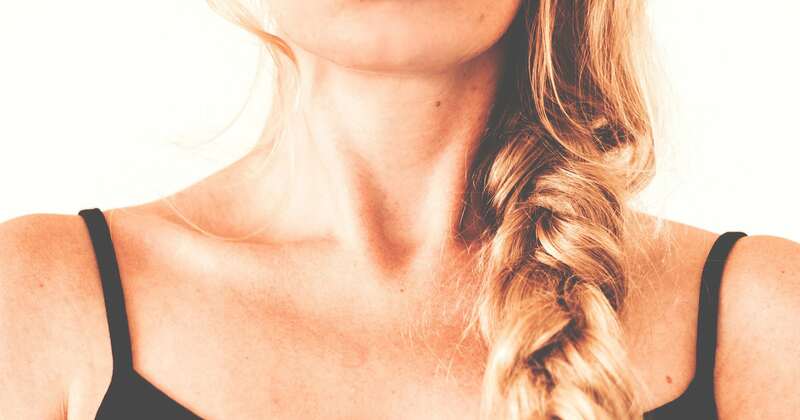 Radiofrequency allows a gentle way and without downtime to densify the skin of the neck and decolletage. This treatment has the advantage of being realized during the lunch time, its interest is in my opinion rather preventive than curative. I recommend it to women of 30-40 years old who care to preserve their youth capital at these places of the body. Beyond that, I recommend the ablative lasers. Suspension threads are an example of a type of non-surgical lifting of sagging tissue. Thanks to small absorbable cones which are attached to the deep tissues, significant control can be achieved over the drooping tissue. 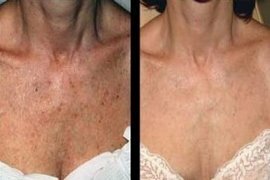 Lasers and IPL are indicated for the treatment of vascular disorders (redness, small vessels) and pigmentary (spots) of the skin of these areas. 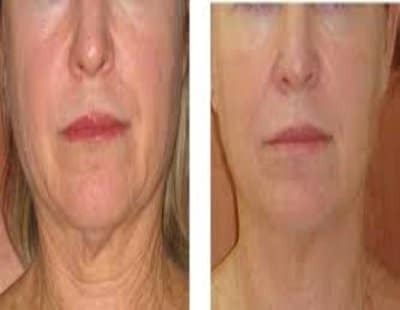 Ablative lasers and photorejuvenation lasers are used to thicken and tone the skin, their indications are sagging skin, wrinkles and dehydration. 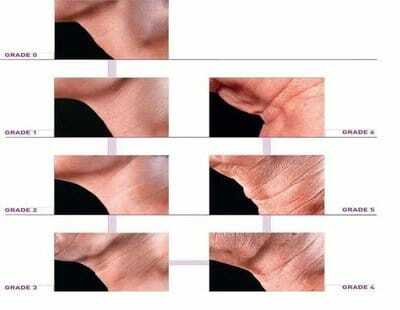 Scale of the neck skin sag (Picture). The result is absolutely magnificent and natural. My neck wrinkles are no more visible! Thank you Doctor Romano. Doctor Romano has erased my wrinkles on the cleavage area with ! I’ve felt total trust from the start and I’m generally very anxious about injections. I consulted Doctor Romano for a wrinkled skin aspect on my neck and cleavage that were really becoming a complex. Thank you for your treatments Doctor, my skin has gained 10 years. After multiple treatments, I finally found the doctor that rejuvenated my neck and cleavage. From now on, I don’t want anybody but Doctor Romano! Laser 400-500€ each session, it needs 2-3 sessions. 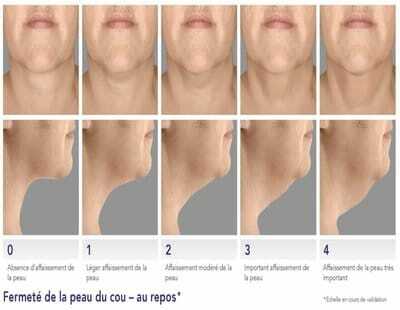 Radiofrequency 150€ each session, it needs 8 sessions.